How to move Integration from one ICS instance to another ? This is general question and can come in mind of every single person who is working with Oracle ICS. Oracle ICS provides the options to export and import Integration and Lookup to share between Oracle Integration Cloud environments. Integration can be exported as a IAR file that can be use in other Oracle ICS instance or import the integration into Oracle Jdeveloper to perform an advance XSLT task(for example: variable creation or using template) that can't be used in the ICS mapper. Once the mapper editing is completed, the mapper file can then be imported back into Oracle ICS service. The file is saved with a name that consists of the identifier plus the version number, and an iar extension. Import the integrations that were previously exported as a IAR file from Oracle Integration Cloud Service. In the Import Integration File dialog, click Browse to navigate to and select the file to import. If an integration already exists with the same identifier and version, confirm whether to overwrite the existing integration. 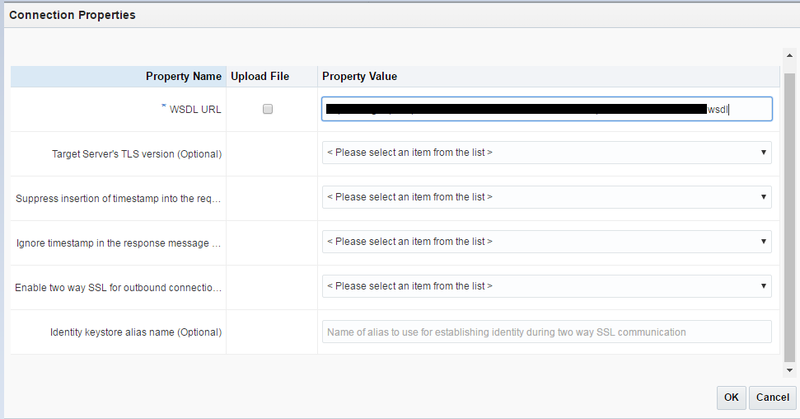 Once we create a lookup, we can export that lookup for use in other Oracle Integration Cloud Service environments. The file is saved as a CSV file with the same name as the lookup. Have written a separate blog that shows how to import lookup. JSch API is widely used for connecting a SFTP using Java. Below is the program to read file from SFTP using JSch library. In the previous two blogs, I have described the ICS Lookup and how to create Lookup. Let's suppose we have one CSV file containing hundreds or thousands of records and want to create Lookup in ICS with those values. If we'll be adding all the values manually one by one it'll be very time consuming or irritating. 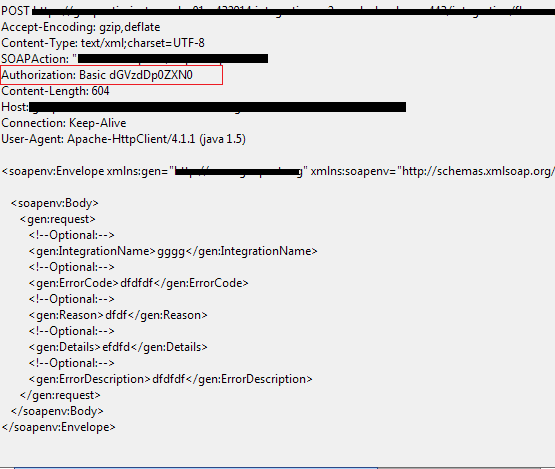 So, ICS provides to import CSV file that will create Lookup with all those values containing in CSV file. This way importing the CSV file will save the time and create the Lookup for us with bulk values. HTTP Basic Authentication and WS-Security username token authentication both are different authentication mechanism and independent to each other. Basic Authentication is used in HTTP where user name and password will be encoded using base64 encoding mechanism and passed with the request as a HTTP header. 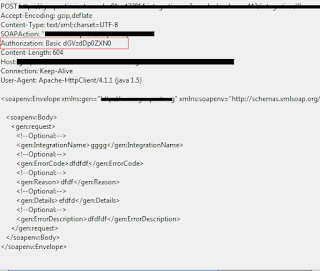 HTTP header section will have "Authorization: Basic dGVzdDp0ZXN0" header element. Username and Password will be encoded using base64 mechanism which is used in Authorization header. Most of the Webservice clients have option to provide basic auth header. In SOAPUI, at "Authentication" tab, we can provide username and password. If we switch to Raw format(as shown in the above image) of the request, all the HTTP headers are visible and we can see the Basic Auth header is set. When we use Basic Auth, the username and password setting is on the HTTP headers not in the SOAP message. SOAP message goes with HTTP body. Securing Webservices using ws-security username token authentication mechanism is a simple mechanism to secure services. 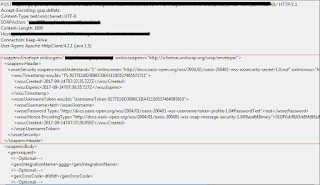 It enforces user to provide UsernameToken security header in the SOAP requests. 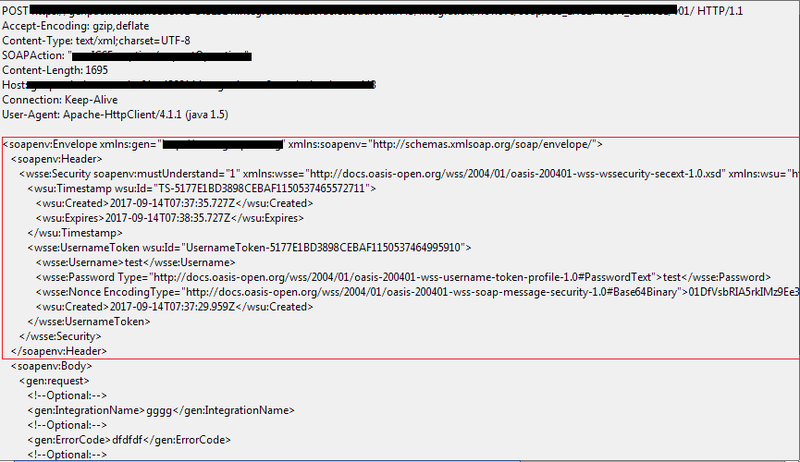 As shown in the above image, the ws-security header is set as part of SOAP message. If we secure a service using user name token option, (that is, ws-security username/password authentication) we should pass ws-security headers as shown in the above image. 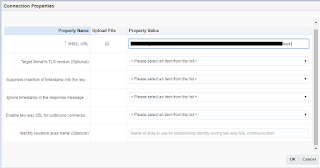 In this blog, we are going to show you, how to use the Oracle Integration cloud service FTP adapter to read a file from the FTP location. In my previous blog, I have explained how to configure FTP adapter in Oracle Integration Cloud Service. After this blog, we have learned how to use file adapter to read CSV file from FTP location. Use Case: Develop a scheduled process that will read a CSV file from FTP location and will insert the CSV data into a database table. Create DB connection: DB connection will work as a Target point. In one of my blog, I have showcased how to create DB connection. Please check it out before moving forward. As soon as we click on the Submit Now button, integration will be submitted. Now see your database tables. Whatever record exist in the CSV file, it must be inserted into the database table. This is how we can use the File adapter to read the CSV file.